TEVTA has announced 6 months free short course in 355 Technical and Vocational Institutes. 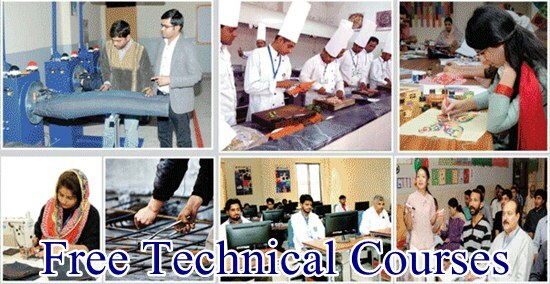 TEVTA is Technical and Vocational Education Training Authority of Punjab. It offers various short term courses and long term training and diplomas. Training and admission is free. Courses are being offered in Faisalabad, Chiniot, Layyah, Muzaffagarh, Jhang, Toba Tek Singh, Jhelum, Chakwal, Sargodha, Khushab, Rawalpindi, Attock, Bhakkar, Mianwali, Okara, Kasur, Bahawalnagar, Multan, Khanewal, Vehari, Sheikhupura, Nankana Sahib, Gujrat, Mandi Baha ul Din, Sialkot, Narowal, Lahore, Bahawalpur, Lodhran, Sahiwal, Pakpatan, Gujranwala, Hafizabad, DG Khan, Rajan Pur, Rahim Yar Khan. Sir i have no vocational center in my town wich called Wan Buchran. Sir i want to open a vocational center for girls.